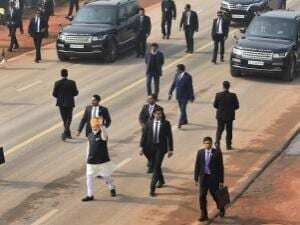 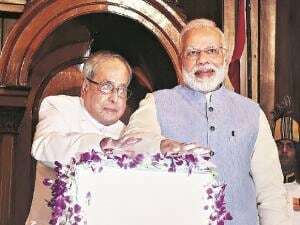 Prime Minister Narendra Modi greets the audience as the organisers of reception clap at the SAP Center in San Jose, California. 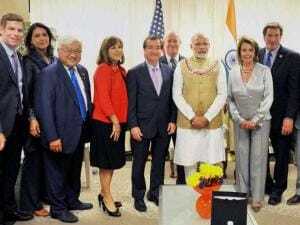 Prime Minister Narendra Modi meeting with the elected lawmakers at the SAP Centre in San Jose, California. 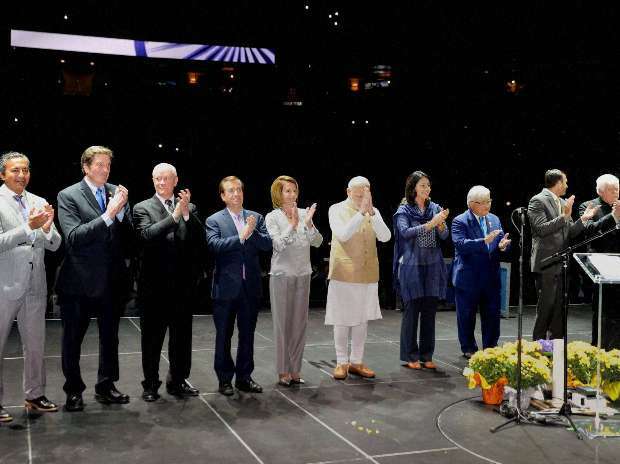 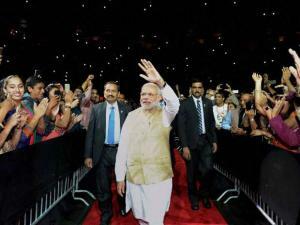 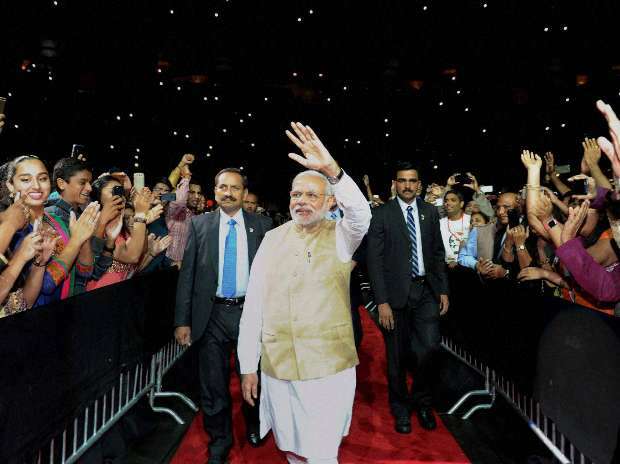 Prime Minister Narendra Modi is greeted by one of the elected lawmakers at the SAP Center in San Jose, California. 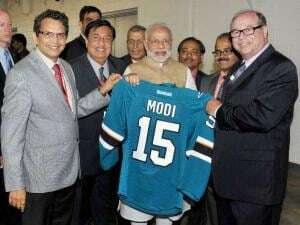 Prime Minister Narendra Modi is presented a jersey at the SAP Centre in San Jose, California.